If you are considering installing budget conservatories, it is very crucial to use a certified company to do the work. 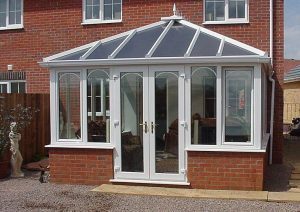 Although registration or membership is not compulsory for installation of Conservatories, Orangeries or Porches in England or Wales they must comply with certain regulations (you can check at www.planningportal.gov.uk). However, the homeowner is ultimately responsible for ensuring that all the work is done properly, so if the installer is not authorised or competent to self-certify that any relevant work is up to standard, you will need to get local authority Building Regulations approval yourself – meaning extra stress & expense. In summary, the trade associations are there to help consumers see which tradesmen & companies are “up to scratch” and can be relied upon to do a proper job of work and you can use them to find out how much does a lean to conservatory cost?